IDC recently held its second Digital Transformation Awards (DXa) at the IDC DX Summit and Awards 2018 Malaysia in Kuala Lumpur where it recognised a total of seven organisations that have significantly disrupted the market or have transformed it. Last year was the first time IDC held the award for the Asia Pacific region. IDC Asean managing director Sudev Bangah said that the awards are timely as things are getting exciting in the region. “Previously, projects were approached from a theoretical standpoint but now there is something tangible at least and people feel that the time is right to spend money on digital transformation (DX),” he said. Having received more nominations this year, the number of award winners has increased from three to seven. Sudev also attributes this to a sign that the actual number of DX projects in Malaysia has increased as well and are starting to bear fruit. 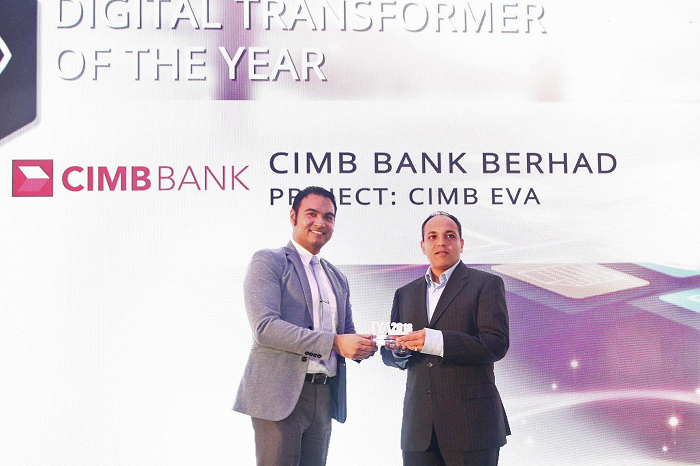 Most notably CIMB Bank was named as the 2018 Digital Transformer of the Year. Other winners include Boost by Axiata Digital eCode Sdn Bhd (Digital Disruptor), KPJ Healthcare Bhd (DX Leader), Hong Leong Bank Bhd (Omni Experience Innovator), Suruhanjaya Syarikat Malaysia (SSM) (Information Visionary), AirAsia Group Bhd (Operating Model Master) and Astro Malaysia Holdings Bhd (Talent Accelerator). DNA approached several of the award winners following the end of the ceremony for their thoughts. Boost chief executive officer Christopher Tiffin said he was humbled to receive the award at what he considers is the early stage of the company’s journey. “Quite often when you are in a startup environment, you are trying to drive change and do something different. That potentially gets you into a bubble. I always say to my team that external validation is the biggest reward and recognition you can get that what you are doing is making a difference,” he said. CIMB Bank's head of digital banking Kanags Surendran said the award comes as a morale boost for the team at CIMB and motivates them as they strive to deliver value to their customers with CIMB's EVA (Enhanced Virtual Assistant). Since 2016, the digital team has worked to integrate EVA with the bank's core banking functionalisites such as accounts checking, fund transfer, bill payment and prepaid mobile reloads. A lot of technology has gone int the development of EVA as it is powered by two AI engines: one for natural language processing and the other looking into data insights. "We need to make sure that we innovate and improve our solutions to stay ahead of the race," said Kanags. Meanwhile, Astro becomes the first two-time winner of the awards as it won last year for Digital Transformer of the Year. Its chief technology officer Phuah Aik Chong said the award this time for Talent Accelerator, validates the company’s aspiration to reinvent itself and transform into a truly digital company. “It starts with rethinking the way we work, reskilling our talents and reimagining Astro’s offerings of tomorrow. Skills and strategies that resulted in past successes need to be revamped to ensure future success, which is why we have pivoted to focus on skills that instil a sustainable culture of innovation and continuous iteration,” said Phuah. When asked about the reasons behind awarding Digital Transformer of the Year to CIMB, Sudev explains that what got them excited about CIMB was the fact that it already is recognised as a digital bank and is in the position to lead the way in Southeast Asia. If he had a favourite award this year, Sudev said it had to be the DX Leader award that went to KPJ Healthcare Bhd president and managing director Amiruddin Abdul Satar. 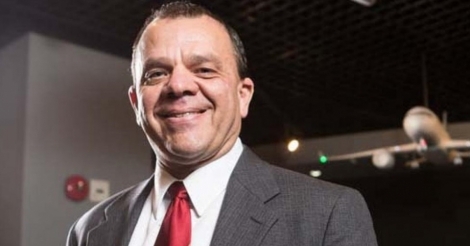 “A lot of the decision came down to how he is a visionary who has led the organisation in a certain way for a long time but is actually able to change his mindset to lead the organisation in a different way. That in itself is the linchpin about what DX is all about,” he said. AirAsia won its award for the deployment of Alibaba Cloud’s Content Delivery Network and Web Application Firewall solutions to distinguish legitimate customers from crawlers and bots that negatively impacted bookings and revenue, and reduce massive traffic flows from bots that led to additional operational costs. All country winners will qualify for the regional competition, which will be decided by a regional panel of judges comprised of IDC Worldwide analysts, industry thought leaders and academia. Winners from all around Asia Pacific will attend the regional award ceremony in Singapore on Oct 25.